Ribbet for iPhone has arrived! 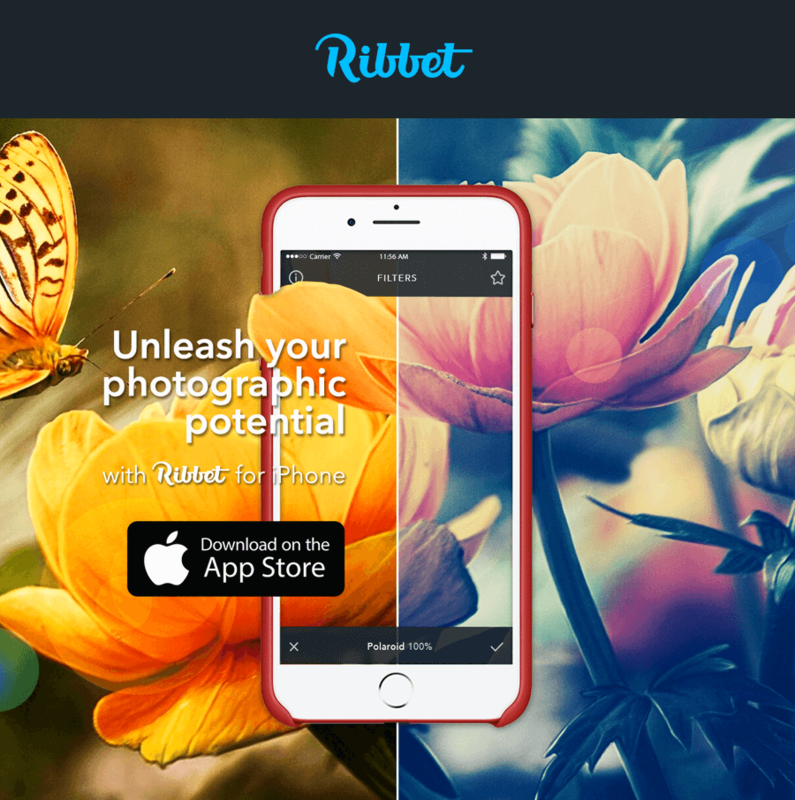 Ribbet for iPhone proves that powerful photo editing isn’t just for pros; a complete editing solution, it handles everything from basic edits to professional touch-ups. Hand-picked presets give you vast creative options, and if you want to go deeper, you’ll find everything from the clone tool to fine curve adjustments. We’ll be adding new functionality very regularly, and our next big update will include Grid Collage, followed by the ability to add Text (these features are already present on iPad). The app’s Premium features are free with Ribbet Premium (sign in from the app’s Settings) and we also offer a 1-month free trial (which includes access to our desktop editor and iPad app). Our Android app for phone and tablet is also under heavy development and we will be releasing it as soon as possible!